In this our 13th year of Blues Bytes, we use the January Pick Hit to feature the reviewers' Top Ten Lists for the past year. It's been another great year for Blues Bytes, as we continue to attract visitors from around the world. A no-brainer for best CD of the year. There's Troubled Child ... and then there's everything else. Great soul/blues! Severn Records keeps boosting its reputation as one of the best labels in the business today by giving us my two favorite discs of the year. These brothers from East L.A. just don't record frequently enough ... which makes Learn To Fly a gem to treasure. One of the surprise hits of the year --- I can't wait to see these cats at our upcoming Blues Blast festival in AZ! Arizona's king of the blues keeps getting better with age. Harmon's duet with Sueann Carwell on "The Price of Lovin' You" is the icing on the cake with this very sweet CD. This native Australian is one of the top female blues artists on the scene today. Pittsburgh soul/blues crooner teams up with French guitarist for a nice mix of classics and originals. One of the hottest young blues guys on the scene today. This one from Southern California's perennial favorites is worth the money just for the great story about the late Sam Myers that prefaces "Blues in '92," renamed here as "Tell Me About It Sam." 2009 was an incredible year of new releases. After deliberating about it for a month or so, I�ve decided that it is just about an impossible task for me to limit myself to a Top Ten list (not that I�ve ever done it in previous years), so here�s are the top 10 or so discs that I enjoyed and played the most last year. Various Artists � Chicago Blues: A Living History (Raisin� Music) � No way this release was not going to be on my list. It�s a tribute to the founding fathers of Chicago blues from some of the second generation�s most prominent voices (Billy Branch, Lurrie Bell, John Primer, and Billy Boy Arnold). It�s a keeper for both longtime fans and newcomers. Eddie C. Campbell � Tear This World Up (Delmark) � How can you not like Eddie C. Campbell�s completely unique vision of West Side Chicago blues? I guarantee if you not a fan before listening, you will be when you�re finished. Joe Louis Walker � Between A Rock & The Blues (Stony Plain) � For some reason, I feel like we take this guy for granted sometimes. I�ve yet to hear a bad JLW recording, but he has really found a comfortable groove with Stony Plain and Duke Robillard behind the controls. To me, this ranks with his best recordings. Jimmy �Duck� Holmes � Ain�t It Lonesome (Broke & Hungry) � The last of the Bentonia Blues men continues the tradition while branching out into the Mississippi Delta sound as well on his best release so far. Dave Riley & Bob Corritore � Lucky To Be Living (Blue Witch) � The second collaboration is even better than the first. These guys complement each other perfectly and pay tribute to some of Riley�s mentors this time around (Frank Frost, Sam Carr, and John Weston). Larry Garner � Here Today Gone Tomorrow (DixieFrog) � Yes, I know this one came out in 2008, but it took until 2009 for it to make its way to my stereo, so it counts. Garner battled health issues for part of the decade, but he�s bounced back with one of his best recordings yet. If, for some reason, you haven�t experienced Larry Garner, you need to make it tops on your list of New Year�s resolutions. Tim Lothar � In It For The Ride (TLP), Kelly Carmichael � Queen Fareena (Dogstreet), Little Joe McLerran � Believe I�ll Make A Change (Roots Blues Reborn) � These were three of my favorite acoustic recordings this year. Lothar�s release is a crushing set of Mississippi Delta blues via Denmark. McLerran�s set is Piedmont Blues, with Delta blues, jazz, and swing mixed in. Carmichael�s disc covers the entire gamut of Pre-War music. It�s fantastic to have younger musicians embracing this classic music and making it available and accessible for new listeners. Arthur Adams � Stomp The Floor (Delta Groove) � Nobody does the Blues/R&B thing like Arthur Adams. This is a wonderful set of old-school tunes that owe as much to jazz and R&B as they do to the blues, and Adams has never sounded better on guitar or vocals. Various Artists � M for Mississippi, Volume 2 (Broke & Hungry, Mudpuppy, and Cat Head) � The second volume features songs that are every bit as good as the selections on Volume 1. Simply put, if you come to the Mississippi Delta, this is what you will hear. So what are you waiting for? 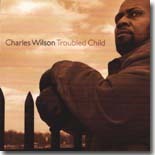 Charles Wilson � Troubled Child (Severn) � This is one of the best soul/blues recordings I�ve heard in years, just like they used to do them. 1. Duke Robillard: Stomp the Blues Tonight; Stony Plain. One of the most consistent players out there, Rolbillard�s guitar pays tribute to heroes without becoming retro and always induces foot tappin�. And his vocal approach, solo or in tandem with guest Sunny Crownover, is tempered by his own long history. This tribute to jump tunes, evenly originals and classics from the likes of Roy Milton, Wynonie Harris and Helen Humes, with a killer instrumental take on �Frankie & Johnny,� is a rug cutting blast! 2. Johnny Bassett: The Gentleman Is Back; Sly Dog/Mack Avenue. Bassett first hit the radar 60 years ago, playing Detroit�s Hastings Street and working for Fortune Records. After too many years in obscurity, his resurrection began in earnest in the early '90s with a series of recordings, each of which outdid its predecessor. This is not just good, it�s extraordinary. Smooth and swinging guitar, cognac voice, a sly sense of humor, and a great band. 3. Greg Nagy: Walk That Fine Thin Line; Big O. The guitarist with Root Doctor steps out with a stunner of a debut solo disc. Straight blues with gospel, funk and soul overtones, Nagy is equally impressive as vocalist and guitarist on superb originals (such as the title piece) and a few well chosen covers (such as �For the Love Of a Woman�). 4. Shaun Murphy: Livin� the Blues; Vision Wall. One of the most powerful vocalists to come down the road in a long while, Murphy steps out of her role as lead vocalist with Little Feat and erstwhile backing singer for Bob Seger and Eric Clapton, to shape the best debut recording of the year. Her opening �Ocean of Tears� and the rafter-shaking take on Dylan�s �It Takes A Lot to Laugh, It Takes A Train to Cry� are worth the price of admission alone. 5. Bryan Lee: My Lady Don�t Love My Lady; Justin Time. Lee�s last few albums have been killer and this is no exception. Solid soulful vocals, understated guitar, and a first-rate guest list fill the speakers with interpretations of Doc Pomus, Willie Mabon, Earl King, Junior Wells, Big Bill Broonyzy, and Kenny Wayne Shepard along with a couple of impressive originals � all infused with that infectious New Orleans accent. 6. Kurt Crandall: Get Wrong With Me; Yester Year Records. Harmonicist/vocalist Crandall�s second recording is loaded with chops that point to a brilliant player steeped in, but not bogged down by his roots. He�s a master of West Coast-swing meets Chicago. The Lucky Millinder, Snooky Pryor, Sonny Boy Williamson and Willie Dixon covers are first rate, but the originals are generally the standouts. Something of a William Clarke devote, he�s got a sly sense of humor, a great band (check guitarist Karl Angerer on �Late Night Rendezvous�), and the surprise hit of the year. 7. The Insomniacs: At Least I�m Not With You; Delta Groove. The pride of Portland, Oregon, the Insomniacs have released two discs for Delta Groove, both of which are first-rate. Vocalist/guitarist Vyasa Dodson wrote the majority of the tunes, and the band does a hot version of Little Richard�s �Directly From My Heart To You� that swings. The quartet is joined by Al Blake, Mitch Kashmar, Joel Patterson and Jeff Turmes, but the core players are the stars of the show and extremely impressive. These guys will be around for a good while. Excellent! 8. Ronnie Earl & The Broadcasters: Living In the Light; Stony Plain. Ronnie Earl is the premier blues guitarist of the past decade or so. The majority of this stunning disc is instrumental, which is where he shines. The vocals, from Kim Wilson and Dave Keller, offer a mixed bag, making it slightly less than a perfect recording. As a guitarist, Earl is untouchable, whether assaying the spiritual explorations of �Ain�t Nobody�s Business,� �Pastorale,� and the transcendent �Recovery Blues,� or on the straight ahead blues of �S.O.S.,� �River Charles Blues� and �Blues For Fathead� -- jaw-droppers, all. 9. Candye Kane: Superhero; Delta Groove. Bawdy blues belter Kane has transcended a tough background and is a recent survivor of cancer. More importantly, she�s also a spectacular singer. Having witnessed her growth over the past 20 years, it�s obvious that every knock-down makes her stronger. She�s lost a lot of the big-girl girth that was a large part of her professional persona. She�s gained tougher chops in the process. Her songwriting is more confident, her voice imbued with passion, and the band may be her best yet. Maria Muldaur: Garden of Joy; Stony Plain. Subtitled Good Time Music for Hard Times, this return to Muldaur�s jug band roots, on which she is joined by John Sebastian, David Grisman and others, is a delight. Dan Hicks (of Hot Licks fame) guests, he being an old-timey kinda guy hisownself. Music based in the last great depression revisited just in time for the new one. A garden of Joy, indeed. Things About Comin� My Way-A Tribute to the Mississippi Sheiks; Black Hen. The Mississippi Sheiks were basically a three brother act who, if for no other reason, will be remembered as the folks who gave us �Sittin� On Top of the World.� That song is performed here by the Carolina Chocolate Drops. Also along for the ride are the North Mississippi All Stars, John Hammond, Bruce Cockburn, Madeleine Peyroux, Geoff Muldaur, Bob Brozman and others. Ndidi Onukwulu sings a sultry version of the title piece. Mary Flower: Bridges; Yellow Dog. For my money, the standout acoustic album of the year. Flower is a finger-style guitarist with a warm voice and impeccable timing. This is a dazzling collection of pre-war blues and a few stunning instrumentals from her own pen. Thoroughly enchanting. Duffy Bishop, Tony Furtado, Tim O�Brien and others sit in, but this is all about Mary Flower, her guitar and her voice. John Primer: All Original; Blues House Productions. Primer has been a member of Magic Slim�s and Muddy Water�s bands. He�s on the new Chicago Blues: A Living History collection on Shout. He�s a major cat, for sure. These even dozen original tunes benefit from Primer�s deep history, strong guitar and solid vocals. It�s the most blues a fan could ask for in one tidy package. 1. 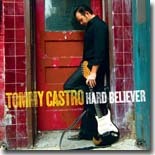 Tommy Castro � Hard Believer. Hands down the best record I�ve listened to all year. Kudos to Tommy and the band for proving me right in Tunica. 2. Things About Comin� My Way � A Tribute to the Music of the Mississippi Sheiks. A record that caught me by surprise and I kept coming back to it. BMA nominated for Acoustic Album of the Year and rightfully so. 3. Big James & the Chicago Playboys � Right Here, Right Now. Under appreciated in this year�s BMA considerations. My choice for Contemporary album of the year. 4. Ronnie Earl and the Broadcasters � Living In The Light. It�s Ronnie Earl, what can I say? He�s simply the best guitarist on the planet and it�s a shame he doesn�t tour anymore. 5. Jim Suhler and Monkeybeat � Tijuana Bible. Texas blues down and dirty the way we like it best. Outstanding job by Jim Suhler. 6. Guy Davis � Sweetheart Like You. Wonderful acoustic record from Guy. It�s all here, great vocals, picking and very clever lyrics. What�s not to love? 7. Darrell Nulisch � Just For You. Sweet�sweet record from this Texas Bluesman. Darrell received BMA nominations for Soul Blues Artist of the Year and Soul Blues record of the year. He got my vote in both categories. 8. Candye Kane � Superhero. Candye has put out some amazing records over the last four years and this is the one that caught everyone�s ear. Candye definitely earned her 3 BMA nominations this year. 9. Saffire � The Uppity Blues Women � Havin the Last Word. The final project from these three very hard-headed, deliciously nasty Blueswomen. Great record and I for one am very sad to see them break up to pursue other projects. 10. Alex Dixon Band � Rising From the Bushes. One of the freshest records I�ve listened to all year from the grandson of Willie Dixon. A band that is definitely on the rise.